New York City’s newest music festival, The Meadows, may have just set a new precedent for fall! Festival season usually ends before Labor Day but on October 1st and 2nd at Citi Field/ Flushing Meadows Corona Park in Queens, Meadows proved that great outdoor events can exist outside of the summer season and that an island location is not a necessity. In fact, the enthusiastic crowds at Meadows demonstrated that people cheer louder and dance harder when not faced with sweltering heat and daunting ferry journeys. 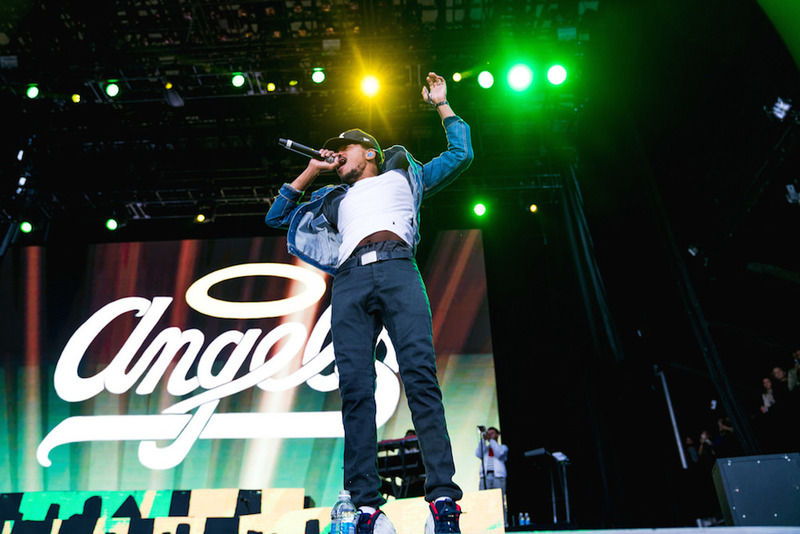 Check out our highlights from the festival including Kanye West, Chance The Rapper, Grimes, and Untitled Magazine featured artists Zella Day and Børns. 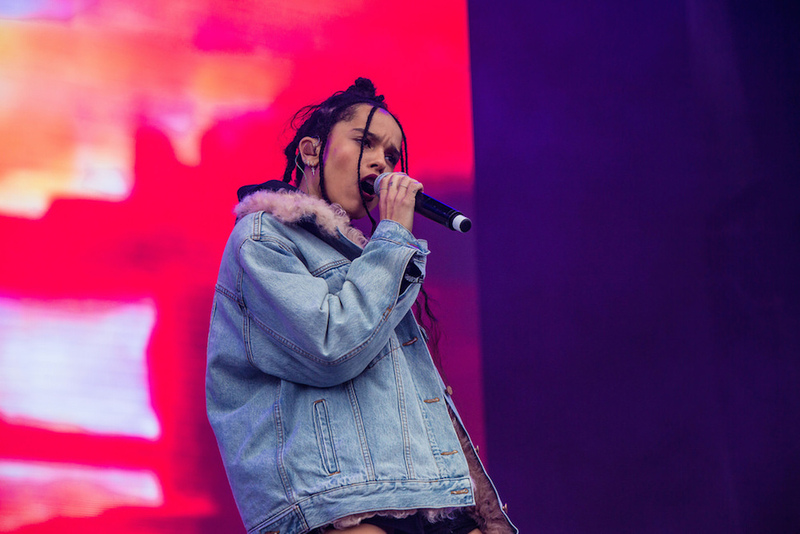 Zoe Kravitz of LolaWolf at The Meadows 2016, image courtesy of The Meadows. Day one of the fest started out strong. Zoe Kravitz’s band LolaWolf (who headlined Full Moon Fest earlier this summer) got the crowd hyped early in the day with an electric set. Later that afternoon, attendees had a tough decision – to head to the catchy electro-pop of Yeasayer or the experimental jazz of Kendrick Lamar collaborator, Kamasi Washington? Both acts proved to be a win. 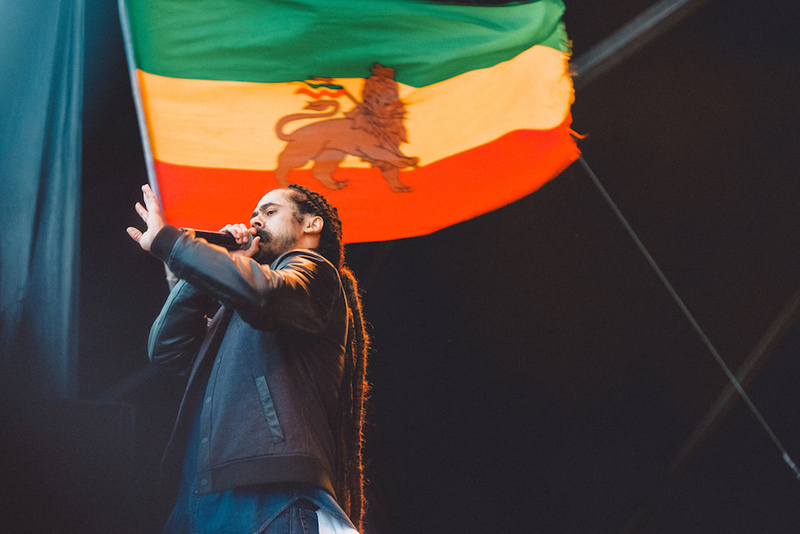 Damien Marley at The Meadows 2016, image courtesy of The Meadows. Those who weren’t already Sylvan Esso fans were definitely converted by front woman, Amelia Meath’s infectious stage presence and characteristic dance moves. Dueling for the best late afternoon sets were Damian Marley who performed to a giant crowd of diehards and Thomas Jack whose dance-happy audience definitely got their fill of moving and shaking. Grimes at The Meadows 2016, image courtesy of The Meadows/BFA. 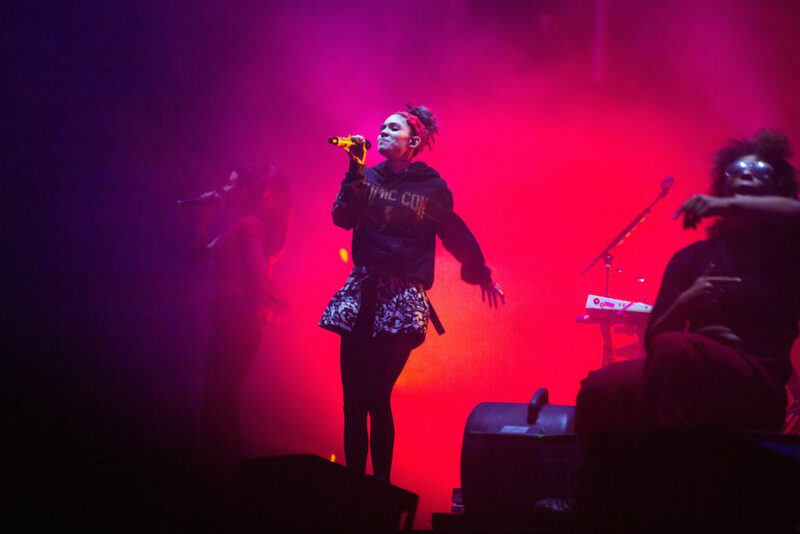 As the first evening acts, longtime festival favorites, Empire of the Sun, and experimental art-pop musician, Grimes, both gave standout performances. Later that night, J.Cole proved that sometimes understudies are the true stars of the show. His dynamic set made everyone forget that The Weeknd (who cancelled his appearance due to scheduling conflicts) was Saturday night’s original headliner. During the same time slot, the crowd at Pretty Lights got down and dirty for an hour and a half of nonstop beats. While Saturday at Meadows was a definite success, festival organizers (and the people behind Governor’s Ball), Founders Entertainment, definitely pulled out all of the stops for the Sunday line-up. The Untitled Magazine featured artist, Zella Day, started the day off strong with her Joplin-esque blend of folky pop-rock. Immediately after, indie favorites, Chairlift, dazzled the crowd. 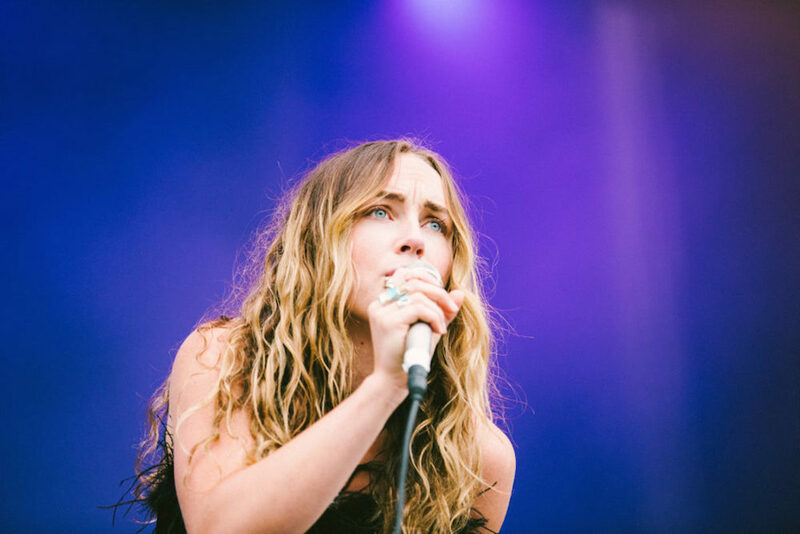 Zella Day at The Meadows 2016, image courtesy of The Meadows/BFA. Pusha T was the first hip-hop act of the day and delivered another unshakeable festival performance (we caught him this summer at Full Moon Fest). Soon after, Bryson Tiller, moved the crowd with his smooth vocals and humble speeches while Metric performed for an adoring audience of longtime devotees. Chance The Rapper at The Meadows 2016, image courtesy of The Meadows/BFA. Børns captured the indie set a bit later while rap fans got their fill at Mac Miller. Cage the Elephant always puts on a great show but it was Chance The Rapper’s set at the same time that was hands-down THE performance of the entire weekend. There can’t be a 2016 festival without atleast one Prince tribute! At Meadows this honor went to Twin Shadow who performed Purple Rain in its entirety to a rapt crowd at 7pm. An hour later Kygo took to the decks while over at the main stage a massive, amped-up crowd waited restlessly for Kanye West to appear. As with all things involving the giant persona, there was diva drama but also amazing performances. 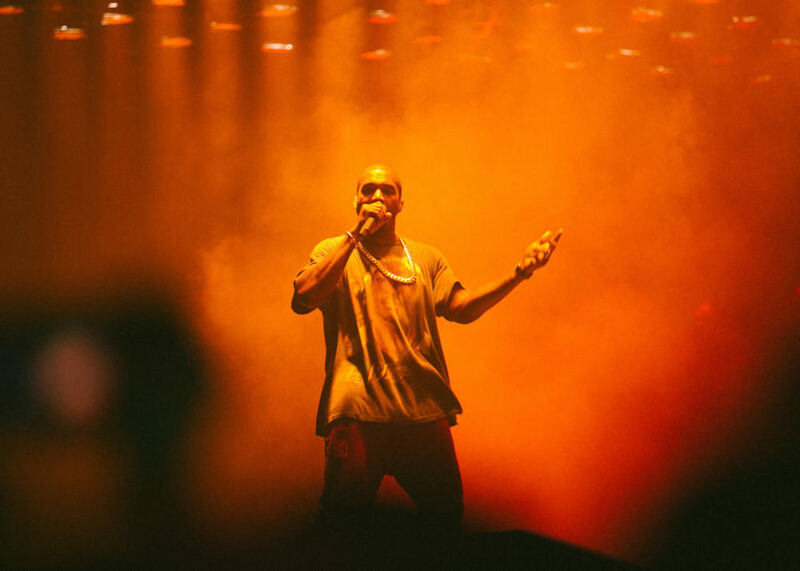 After showing up 30 minutes late, Mr. West led the crowd through many of his greatest hits, all the while being backlit with glowing, saint-like red beams of light. Mid-way through his show, and through “Heartless,” the larger-than-life rapper announced that he was ending the show early due to “a family emergency.” Given his usual theatrics, the crowd was skeptical but a quick Google inquiry showed that Ye was sincere. His wife, Kim Kardashian-West, was reported to have been robbed at gunpoint in her Paris hotel room.